Tube Bender is designed to bend soft copper, aluminum and steel tubing. It works with the three most popular tube sizes; 1/4 ft., 5/16 ft., and 3/8 ft. tubing. This bender is designed to provide accurate left-hand, right-hand and offset bends of up to 90. Repair your single Handle Shower control quickly and easily: replacement Stainless Steel Ball fits DELTA/PEERLESS Model #212SS . JAG Plumbing Products strives to bring customers the best products in Canada and make them available on the best online shopping platform: Homedepot.ca - Owned and Operated in Ajax, Ontario, Canada, JAG PLUMBING prides itself on offering Home Depot Customers durable, high quality, non OEM replacement plumbing parts. Lever Style Tube Bender Tube Bender is designed to bend soft copper, aluminum and steel tubing. It works with the three most popular tube sizes; 1/4 ft., 5/16 ft., and 3/8 ft. tubing. This bender is designed to provide accurate left-hand, right-hand and offset bends of up to 90. Lever Style Tube Bender is rated 4.5 out of 5 by 6. Rated 4 out of 5 by Wallyman from The product was well-made. The tube Bender was too large to fit where I needed to use it. I sent... The product was well-made. The tube Bender was too large to fit where I needed to use it. I sent it back and hope to find a smaller one. 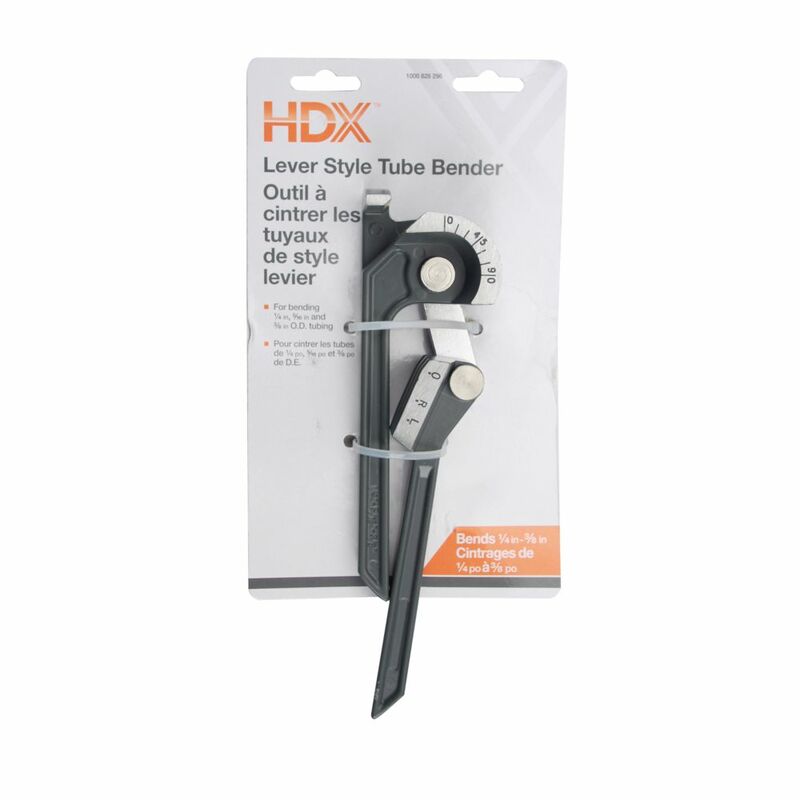 Rated 5 out of 5 by kellydc3 from Super easy to use, reasonably priced and makes perfect bends. Super easy to use, reasonably priced and makes perfect bends. Rated 5 out of 5 by David from Did what was made to do!!... Did what was made to do!! Rated 5 out of 5 by Syncro from This is an outstanding tool that is very well made and makes near perfect bends. It is the first ... This is an outstanding tool that is very well made and makes near perfect bends. It is the first tubing bender I have come across that actually works. I recently had to make tight 90 degree bends in 3/8 " soft steel brake tubing, this tool made it easy and was a pleasure to use. Be sure to grease the bending channels before each use, follow the instructions, and you won't be disappointed.